Running a business or a startup is not a joke at all. There are infinite factors which should be considered while commencing a business. And even if the business is started you should have the knack of marketing it properly and reach to the right audience. The audience is unaware of what you do and what you sell, but if you are creative on the digital platform then you are going to get a lot out of it.Therefore, Social Media Marketing for Businesses is an integral process that you should follow on regular basis. Those who are already in the line of established one, it is a necessity because there is a need of targeting larger chunk of the audience. But Social Media Marketing for Startups will boost the business quickly right from stepping into the market. What is Social Media Marketing for Businesses? Also Search Engine Optimization (SEO) plays a vital role while promoting the brand on social media. SEO is the practice of increasing the quantity and quality of traffic to your website through organic search engine results. 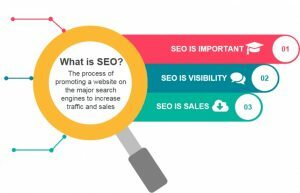 What’s likely interesting to you as a business owner or employee is how SEO can be leveraged to drive apt traffic, leads, sales and in the end profit for the business. There are many social networks out there to choose from. It seems easy but it is difficult to choose the right platform for your business or startup. But you can make it easy once you start narrowing down to the most popular and most widely used platforms. From there, it’s all about determining which platform will give the exposure you are looking for with the right audience, and figure out which one will help in meeting the marketing objectives. According to social media statistics, 92% of all marketers indicated that their social media efforts have generated more exposure for their businesses. To have a better understanding of the social media platform, check which platform your customers are using already and then set up a strategy. This is by far the largest platform, with over 2 billion monthly active users. Facebook is good for lead generation, and its advertising platform can be highly customized to target very specific audiences. Facebook is also a good platform for building relationships, showing the human side of your business, and turning leads into loyal followers and customers. This platform offers a quick sneak-peak of your brand. And if you want to reach out to followers with breaking news, announcements, important messages, and other in the moment information, this is just the best. Twitter enables you to write short and sweet content and also supports pictures, videos and GIFs. This is considered as a complete professional platform, especially for B2B. This is also an ideal platform for editorial content, and it can help you establish your company as a trusted leader in your field, build authority for your brand, and engage leads through conversations. Here, the message an be conveyed best through a creative post content. The audience present on this platform are mostly the younger generation of age group ranging from 15 to 35. Hashtags do the wonders and the new features like putting stories, influencer marketing help collaborate in a better way. Since the only clickable link is in your Bio section (right under your name), make a habit of updating it frequently. The game of images is played at Pinterest. And this platform is great if you’re looking to drive sales because over 90 percent of users plan purchases using the platform. There are far more women on Pinterest than there are men, and it’s a graphics-heavy platform that lends itself to decor, food, art, fashion, wedding, travel, and other businesses that can leverage topics that produce beautiful and stunning photographs. 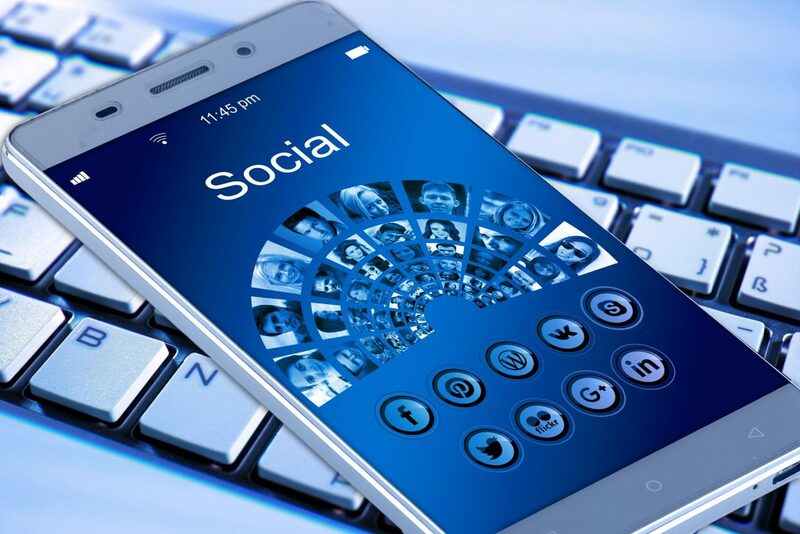 At the most basic level, social media is defined as the online communication platforms used to connect individuals to one or many others. Social media marketing involves implementing marketing messages into conversations occurring on social platforms that are relevant to the conversation. Social media engagement measures the public shares likes and comments for an online business‘ social media efforts. Engagement has historically been a common metric for evaluating social media performance but doesn’t necessarily translate to sales. Tough, both the things happen on social media, but the difference is a lot. Marketing promotes the product with an aim to make the sales, and engagement let the audience connect with the product. 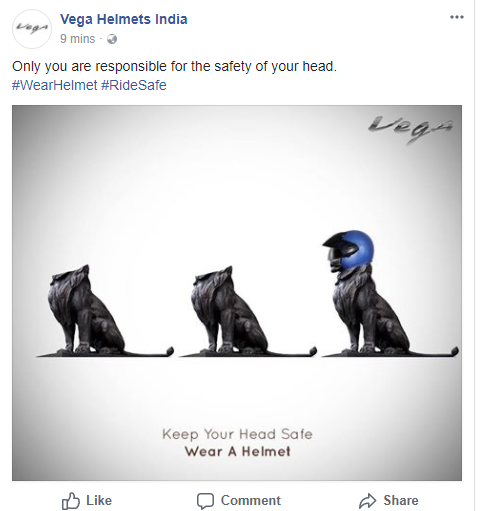 Below there are two screenshots of the Facebook page of Vega Helmets India. 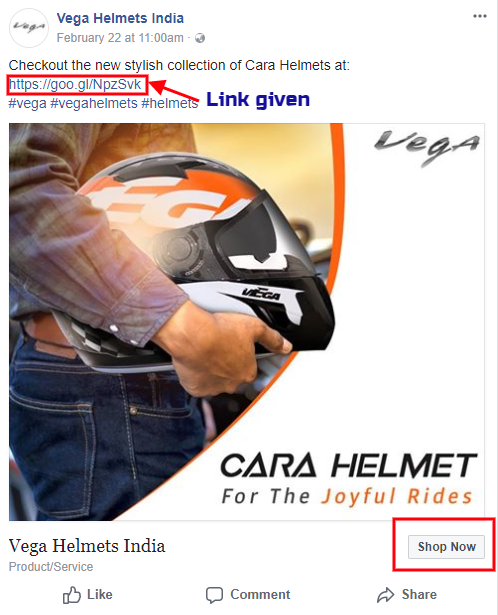 One post is purely for engagement purpose and the other post promotes the helmet with a tab of “Shop Now” button. The difference in both the posts can be clearly spotted as to which one is for engagement is which one is for marketing. Social media marketing is a power-packed package that strengthens the branding, quality leads, and drives sales. Or it can just turn around and become a flop show – which no one wants, obviously! Here are few tips that can help you through social media marketing. This is the very beginning of starting off with a social media campaign for startups. Understand your goals before proceeding. Whether your goal is to increase the brand awareness or sales or improve ROI, you should be clear with it. It is a staple of all marketing and business strategies. This systematic technique will help in creating a loyal customer base and increase the face value of the business in the market. Find out that which platform is suitable for your business and then on the basis of type of your brand tap your audience on social media. For instance, if the brand is related to fashion and beauty then you are most likely to find the apt audience for your brand on Facebook, Instagram and Twitter. And then you can define the age group which is supposed to be targeted. The next step will be to do some research, keeping your goals and objectives in mind at all times. Doing research on your goal, previous efforts and context mapping is important. Know what is happening right now in relation to your cause. What are the key events that have recently taken place and what are the events that will take place in the near future that may have an impact? Culture – what is their cultural background, what languages do they speak or read. A campaign always has some theme and based on that theme, you need to craft the message. This message should create an effective impact on the psyche of the audience and encourage them to know more about the brand or product. Message in case of fashion brand – like “Fashion, That Makes You Class apart” – will definitely make the user inquisitive. The user will surely click on the link and this is how you can generate the lead. The easy way to find your competitors is through a google search. 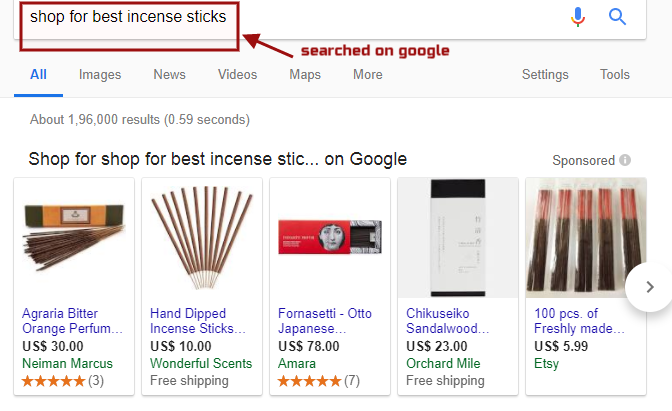 Below is the screenshot in which you can see the top brands on incense sticks. So if you are into that industry, all you have to do is search for the competitors this way. Look at the matrix at what time the audience is most active and post the content on social media at that time. This will increase the reach and engagement at the same time. Since the organic content is really difficult to drive engagement but the paid posts can bring heavy traffic if posted at apt timings. Therefore, it is important to consider audience insights. Once your campaign is live on social media, never forget to track it. It is important to know how it is going. Keep a tab on all the insights and metrics to know the performance and try to analyze that whether the ROI has met or not. The screenshot shows how much followers on Twitter have in a certain period of time. This insight will help a lot while working on the next strategy. 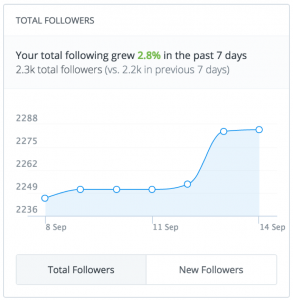 If you need to grow the follower count then you need to decide how much follow-unfollow activity you have to do in that week. You need to consider all these pointers while building up the next campaign so that you can achieve the targeted social media marketing goal for your startup or business.